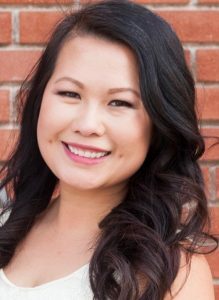 Anh Nguyen, M.A., BCBA received her Bachelors of Art in Psychology from the University of California at Los Angeles and her Masters of Art in Counseling from Loyola Marymount University. Anh has been working in the field of ABA for the last 10 years. She first got into the field because her nephew was diagnosed with Autism and was receiving early start services. She previously held direct service provider, parent trainer, and case supervisor positions. She is passionate about social skills group and providing mentorship for upcoming Program Supervisors.